Plan Bee illustrator Erin Cole is buzzing, having been nominated for the highly prestigious World Illustration of the Year. 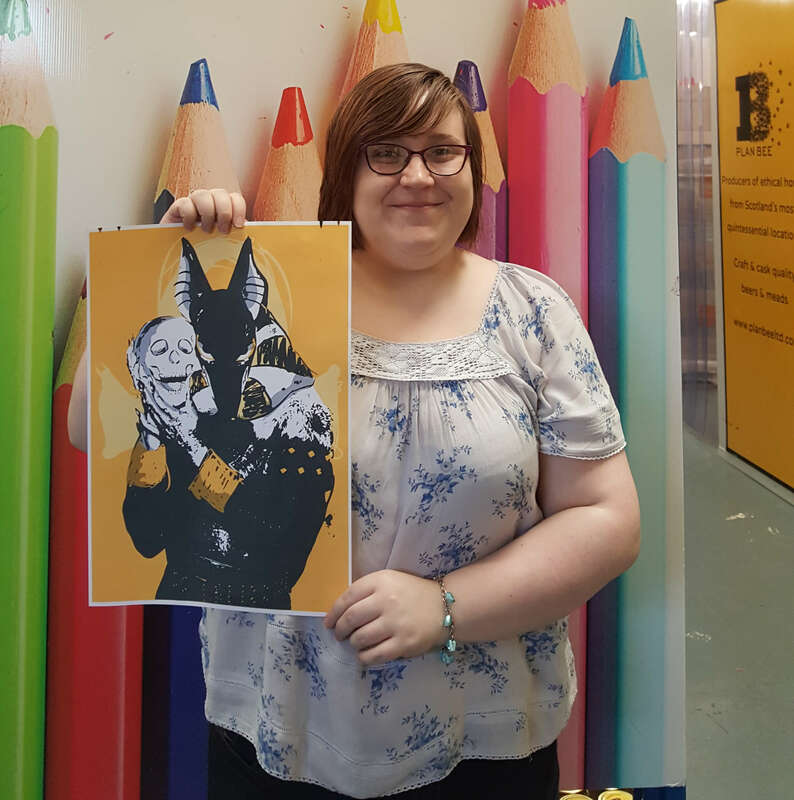 The 20-year old Wishaw artist is on the shortlist of globally renowned designers as put forward by the Association of Illustrators, with her work, Mythical Mayhem having been selected from a field of 2,100 outstanding entrants. Erin has recently started work at multi-award winning sustainability business Plan Bee Ltd, based on the Motherwell/Wishaw border. She has been taken on as part of the company’s recent expansion, to provide bespoke illustrations, infographics and designs. The winners announcement isn’t expected until the autumn, prior to an exhibition of the works at Somerset House in London, where Erin’s Mythical Mayhem will potentially be displayed among her international peers.